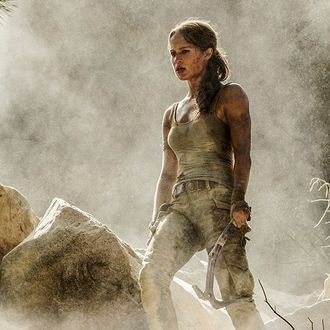 To those around the world who bought tickets to see Alicia Vikander’s Tomb Raider reboot, fans in America thank you, because it was reported today that a sequel script is finally in the works. According to The Hollywood Reporter, Free Fire screenwriter Amy Jump is at work on a new screenplay that should by law require Vikander to do at least twice as many pull-ups as she did in the first movie. (That’s a lot of pull-ups, but we believe in the lithe adventurer’s mighty muscles to handle the work.) The first movie cost around $100 million to make, and only brought in $58 million at the domestic box office, which is why there are a lot of thank-you notes that need to go out to international Raider fans — especially those in China, France, and the U.K., who really showed out for Vikander and her climbing ax.